Recently, my daughter asked me: ‘Dad, what good is it to know your history?’ And I answered: ‘Dear, if you don’t know your past, you will not understand the world around you.’ And the world around us is changing rapidly. 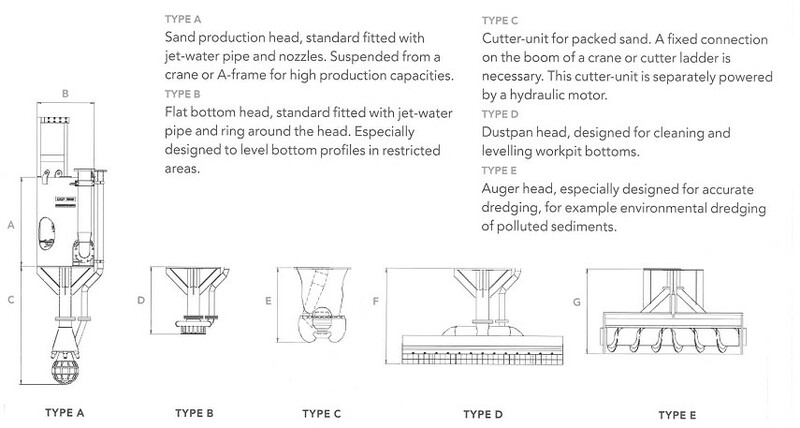 The most recent change in our dredging world is the launch of the DOP web shop1. The ultimate entrance into the digital age of a well proven pump. For those young people that only know how to order online (or others interested in dredging history): long before webshops were around, customers and suppliers had a direct relationship with each other. In the early ‘90s, when Ballast Nedam received the contract to build the railway tunnel near Schiphol Airport2, they had a real tough challenge. The ground water level near Schiphol is very high. Any hole there, fills up rapidly. Using sump pumps to remove the water from a building pit would be useless. To prevent collapse of the sides, there was already sheet piling in place, supported by braces to carry the side load. The space between the braces was too small for a long reach excavator. And the area under the braces too low to work from pontoons. Moreover, the foundation pilings where already in place and they should not get damaged by the excavation with a crab crane. 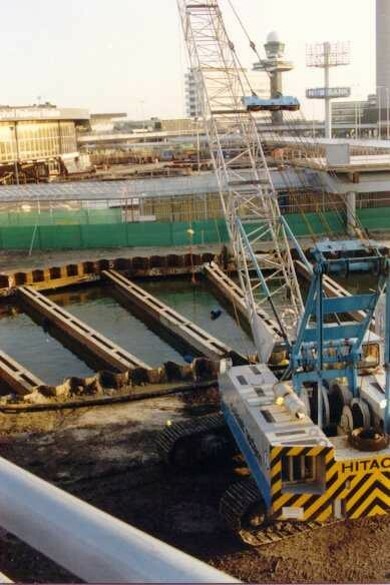 At this point, Ballast Nedam contacted their supplier De Groot Nijkerk for a smart solution. Ballast Nedam wanted a small self-contained dredging machine, that would fit between the braces and remove the sediment hydraulically. 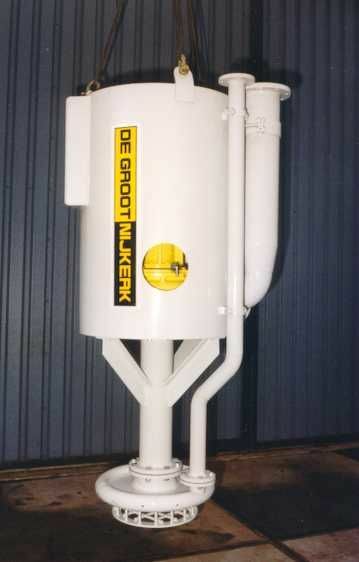 In a real Gyro Gearloose fashion, De Groot Nijkerk managed to patch together a contraption to prove the concept: ‘the first DOP pump’ (of some sort). 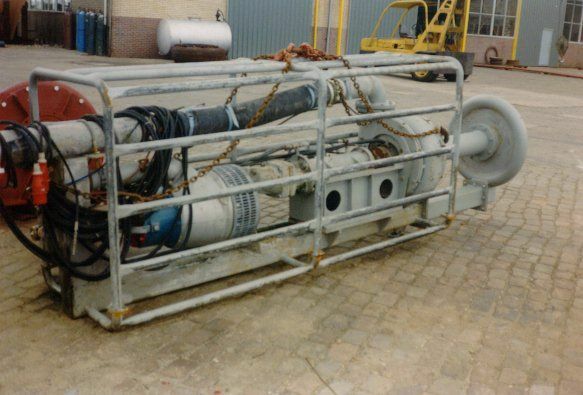 It consisted of a normal dredge pump and a submerged jet pump in the same frame. The tests were successful and the prototype was turned into a production model. The main difference being that the bearing and the dredge pump were designed with a mechanical seal to remove the gland water installation. This mechanical seal required some development on itself, as standard mechanical seals were too fragile. The newly developed seal was of real dredging proof quality. 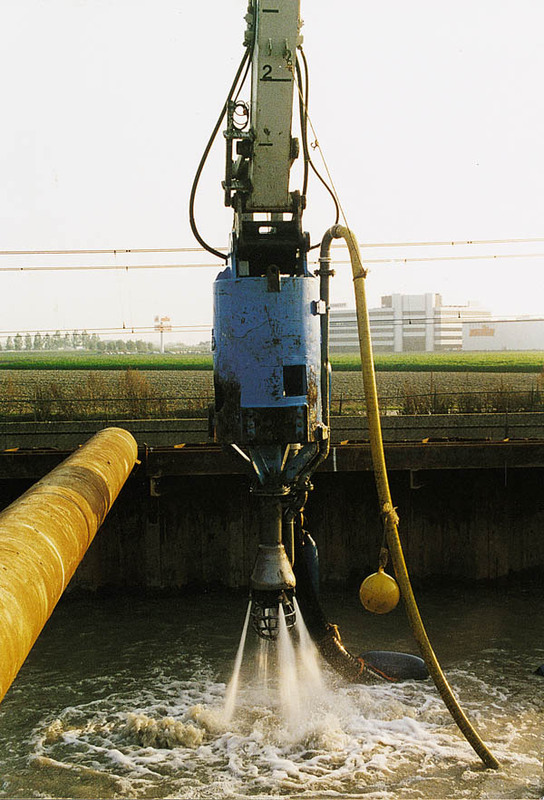 The product was successfully used and word spread around the Dutch contractors about this nifty little dredging machine. As a result, the new DOP was introduced in 1991 and started a career of its own. Over time, the range has been reengineered and thoroughly standardised. Due to this standardisation, the sales could also be standardised. Thus, the natural consequence: the webshop. Here you can experience online convenience with personal service. Previous Previous post: Loose Sand, How Hard Can it Be?